RD-Connect is an EU-funded integrated platform for rare disease research. It provides user-friendly tools for data analysis and links different data types - omics (e.g. genomics), clinical information, patient registries and biobanks - into a common resource. By enabling scientists and clinicians worldwide to analyse and securely share data and biosamples, RD-Connect speeds up research, diagnosis and therapy development to improve the lives of patients with rare diseases. RD-Connect is open for data submissions from researchers and already holds thousands of secure, pseudonymised datasets, linked at an individual per-patient level phenotype. Researchers can analyse data, find similar cases and related information such as availability of biomaterials. In collaborations with other EU projects, RD-Connect has already contributed to the discovery of dozens of novel disease genes. 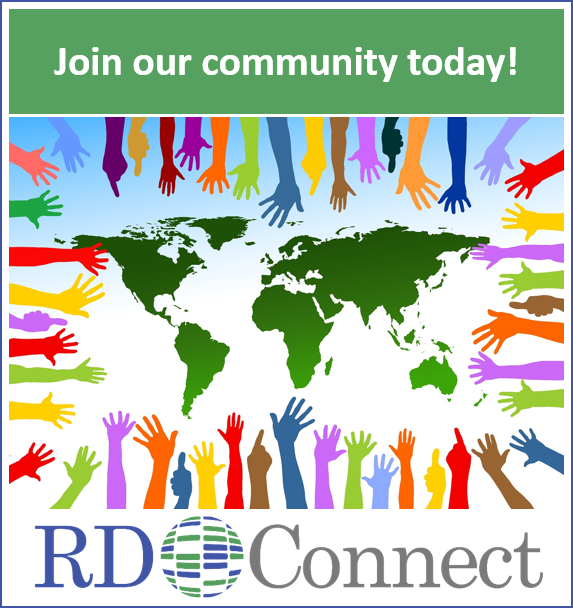 RD-Connect is also an international community of individuals and organizations who work together to shape the rare disease field, promote data sharing and reuse to advance research. Membership is free of charge and open to organisations, research groups and individuals from diverse backgrounds, engaged in rare disease research anywhere in the world. The RD-Connect Community is led by Ivo Gut from Centro Nacional de Análisis Genómico (CNAG-CRG) in Barcelona, Spain, who is the current scientific coordinator of RD-Connect. The previous RD-Connect coordinator, Hanns Lochmüller, remains involved in the Community as the past chair. The Community’s Executive Committee now includes members from BBMRI-ERIC and ELIXIR as well as an additional patient representative in addition to representation from EURORDIS, the European Organisation for Rare Diseases. Interested in joining? Fill out the registration form to become a member! For more information about the RD-Connect Community, please visit https://rd-connect.eu/about-rd-connect/become-member/. To learn more, watch our video and visit the website: https://rd-connect.eu.